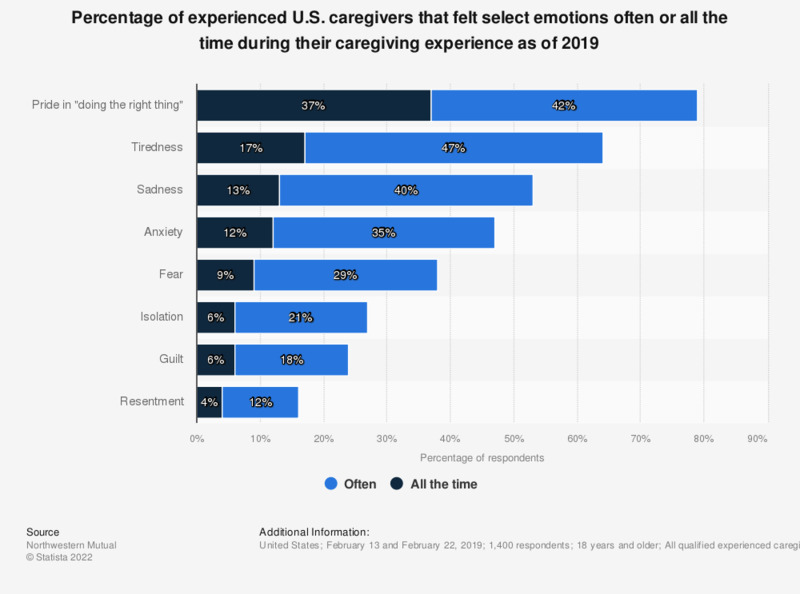 This statistic displays the percentage of experienced U.S. caregivers that felt select emotions while caregiving as of 2019. According to the survey, 37 percent of caregivers experienced pride in "doing the right thing" all the time while caregiving. Original question: "Below is a list of emotions you may experience as a caregiver. Please rate how often you’ve felt each of these emotions in your personal caregiving experiences."